Can be used in aeroponics, hydroponics, soil and any medium. pH buffered. Agricultural Organics is an Australian owned and operated liquid fertilizer manufacturer. We have developed a range of organic, organic based fertilizers and additives that have been formulated to maximize the plants genetic capabilities. The ingredients we use to formulate the bloom products are mostly derived from plants, fungi or the earth. 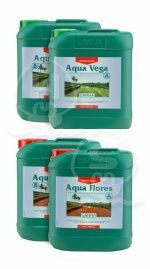 The range is developed into a system to produce the best quality and results of your floriculture system. There are many products in the range that have a specific function and timing for application. All bloom products can be utilized in any medium type or growing method. Each product is highly concentrated so the application of each is quite low per feed. There are four feed schedules in our program. Take control of your garden with bloom. Try the deluxe feed chart for maximum results. Option two is a two part base EURO A&B plus additives. Try the basic feed chart for beginners which has two options; Option one is a four part base nutrient GROW A&B and FLOWER A&B plus lesser additives. .The product range will also assimilate with any products you are currently using and enhance your production. Protects from heat, water and disease stress. 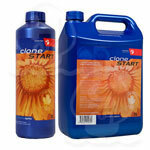 Stimulates active new root growth. Develops and accelerates essential oil production. BiOpOnic Grow ensures that full nutrient assimilation is maintained during this transitional period. Designed to work with biOpOnic Head Start, the use of biOpOnic Grow will allow a stress free change for the plant whilst encouraging the establishment of strong branches, abundant foliage, and profuse flowering sites. 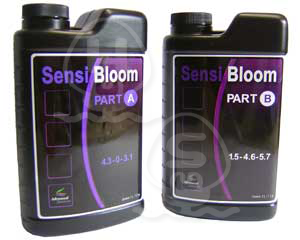 For use during the flowering period, biOpOnic Bloom is designed to reflect your plants changing nutrient requirement to ensure nutrient uptake during this period remains high. This results in healthier plants and greater yields. 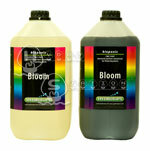 BiOpOnic Bloom is also designed to be mixed with biOpOnic Grow during the changeover period from grow to bloom. Complete “grow” feed that’s proven to be perfect for Hydro and Coco methods. This product has all the essential macro and micro growth nutrients necessary for exuberant growth. 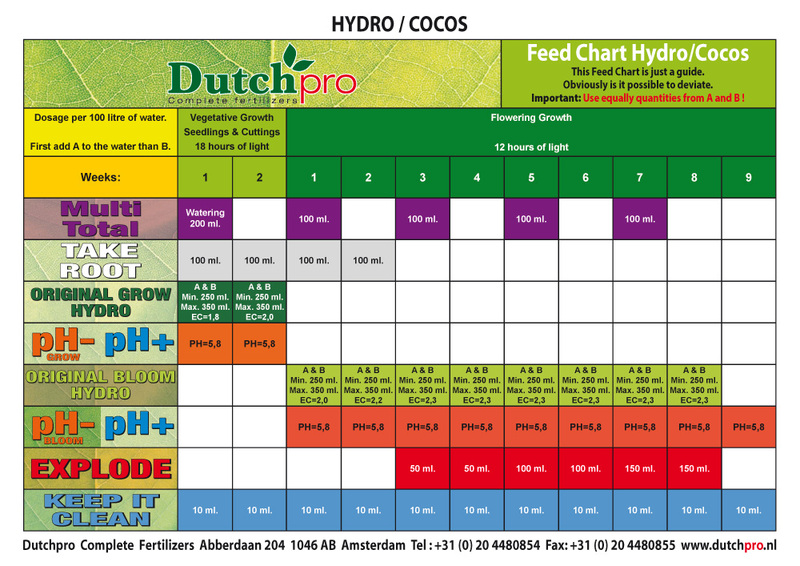 Complete “bloom” feed that’s proven to be perfect for Hydro and Coco methods. This product has all the essential macro and micro growth nutrients necessary for exuberant bloom. Complete “bloom” feed purposely designed for soil. Our soft and hard water formulations are especially designed for the areas. This product has all of the essential macro and micro growth nutrients necessary for exuberant bloom. 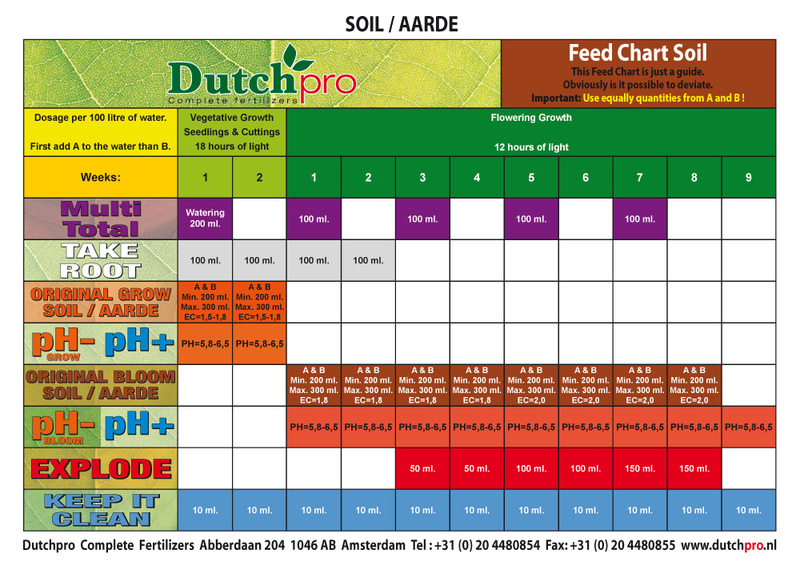 Download the Dutch Pro Grow Plan For Soil or Hydro Here..
Multi Total aids the key processes necessary for turning organic material from dead plant matter into beneficial nutrients. Garden tip: Start with Open Sesame® in the fifth or sixth week of a plant’s life. Once bud set begins, feed your plants with Beastie Bloomz® every other watering according to package directions and our FoxFarm Feeding Schedule. For high-yield results, start indoor plants in our Light Warrior® Agro-Ponic® Grow Medium, and use our premium Ocean Forest® Potting Soil for container plants. Open Sesame® is a high-phosphorus soluble fertilizer that’s designed to bring plants into bloom at your command. Just say the magic words! Open Sesame® provides the optimal level of nutrition with minimal salts and other residue buildups. Whether you’re growing in hydroponic systems, containers, or gardening in ordinary soil, Open Sesame® will go right to work at the root zone and deliver targeted nutrients when the plants need them the most. 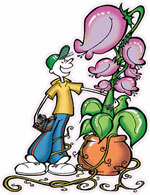 Garden Tip: Feed with Open Sesame® every other watering, starting at about the fifth or sixth week of a plant’s life. It takes just a few weeks of Open Sesame® to get stocky, sturdy, compact, high-producing plants and buds that are ready to burst. For optimum results, start indoor plants in our Light Warrior® Agro-Ponic® Grow Medium, or use our premium Ocean Forest® Potting Soil for container plants. A liquid growth-enhancing organic fertilizer. Ensures a healthy, green and firm crop. A liquid yield-increasing organic fertilizer made primarily from algae and seaweed extracts. It contains a rich mixture of amino acids, trace elements, vitamins, enzymes and natural plant hormones. An organic flavor and taste improvement agent on a basis of molasses. Ata-organics can also be applied as an extra dosage of potassium. Specifically designed for the high-value specialty plants you grow. Containing special components, a precise N-P-K & micronutrient profile not found in other 2-part nutrients. A two-part flowering fertilizer is made for the plants you grow. Dr. Hornby's Organic Iguana Juice Grow, which has been field tested and proven to give exceptional growth during vegetative cycle. Advanced Nutrients made Iguana Juice Grow and Bloom all organic from rich extracts of fish, guano, earthworm castings, yucca, krill, alfalfa, volcanic ash and other all-natural ingredients which spur metabolism, budding sites, floral development, and enhanced taste and aroma. 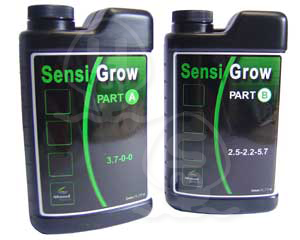 An ultra premium two-part fertilizer in a new generation of flowering phase hydroponics formulas. Hydroponics insiders say it's a quantum leap in nutrient performance. It massively increases yields in gardens that deliver valuable crops. Old Timer is an organic nutrient from Plant Magic Plus and it is manufactured in the UK. It has been developed with the help of a veteran grower who has a great wealth of knowledge and credibility in the horticulture world. A composition of the various elements that provide gardeners optimal nourishment of the plants both in the growth and the flowering period. All of our nutrientsand additives are manufactured in the UK, made specifically for the UK market. CANNA COCO was the first nutrient product that was suitable tor use when growing on coco and if stlll hasn't been equalled offer all these years, CANNA COCO gives unrivalled results on CANNA's coco substrate. CANNA'S nutrients for cul­tivating on soil are called CANNA TERRA. CANNA TERRA can be used for cultivating in both pots & open soil. indoor & outdoor. In addition to this the composition and dosage of CANNA TERRA - Is such that new growers will also achieve excellent harvests. CANNA HYDRO is the nutrient for cultivating plants in systems in which the drainage water is not returned to the nutrient tank but drains away. An advantage of these systems is that plants get fresh nutrients at each feed. This minimizes the risk of diseases. Also, the substrates used in these systems are mostly inert. This means they don't add or take nutrient elements from the nutrient solution, so you can grow with precision. These systems are called run-to-waste or open hydroponic systems. CANNA HYDRO is the nutrient that is most used for these systems. CANNA AQUA is the nutrient for the use in combination closed hydroponic systems. 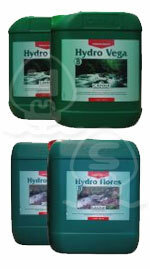 With CANNA AQUA the pH fluctuates within the optimum volumes of 5.2 and 6.2 and does not need to be adjusted. CANNA Aqua is unique compared to other existing nutrition formulas. CANNA AQUA simplifies one of the most complex cultivation systems. Canna Nutrients are one of our most popular sellers and have been a trusted hydroponic brand for many years. Keeps the nutrient water fresh and pure. At the same time, balancing the nutrients to ensure optimal absorption by the plant. 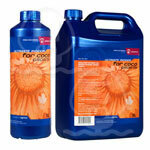 Natural Humate complexes are also added to increase the overall balance in this high quality liquid fertilizer. 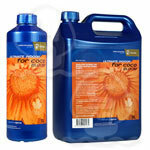 This liquid fertilizer can also be used on all vegetables, fruits, flowers, trees and house plants. This is a liquid fertilizer is ideal for promoting lush growth during the vegetative cycle. Based on 100% organic Dutch sugar beet extract. 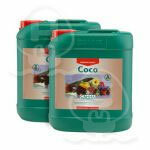 A complete fertilizer which can used from the start of a fruit or flower cycle until harvest. It is packed with naturally occurring minerals, amino acids, and hormones. Composed of the purest and most valuable ingredients.